A document of Joe McPhee’s first solo concert devoted exclusively to the straight horn, Soprano is both a companion volume to his previous LP for Roaratorio (the critically lauded Everything Happens For A Reason) and a follow up to his classic album Tenor, which raised the bar for solo saxophone music over 30 years ago. Recorded live in St. George’s Church at the Guelph Jazz Festival in 1998, Soprano was inspired by Pauline Oliveros’ Deep Listening performance at the venue the previous year. The acoustics of the church provided a natural web of reverberation and delay, and compose as much a part of the sonic palette as Michael Overhage’s farmhouse did for Tenor. 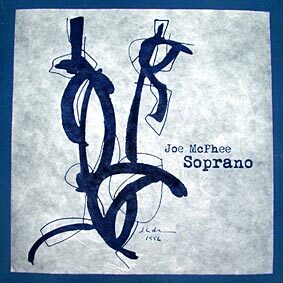 McPhee’s art is informed by the head and the heart in equal measures, and Soprano is thoughtful, passionate music from one of jazz’s most eloquent practitioners. A limited edition of 553 copies on 180 gram vinyl, with a Judith Lindbloom silkscreen print on rice paper and liner notes by McPhee and Oliveros.